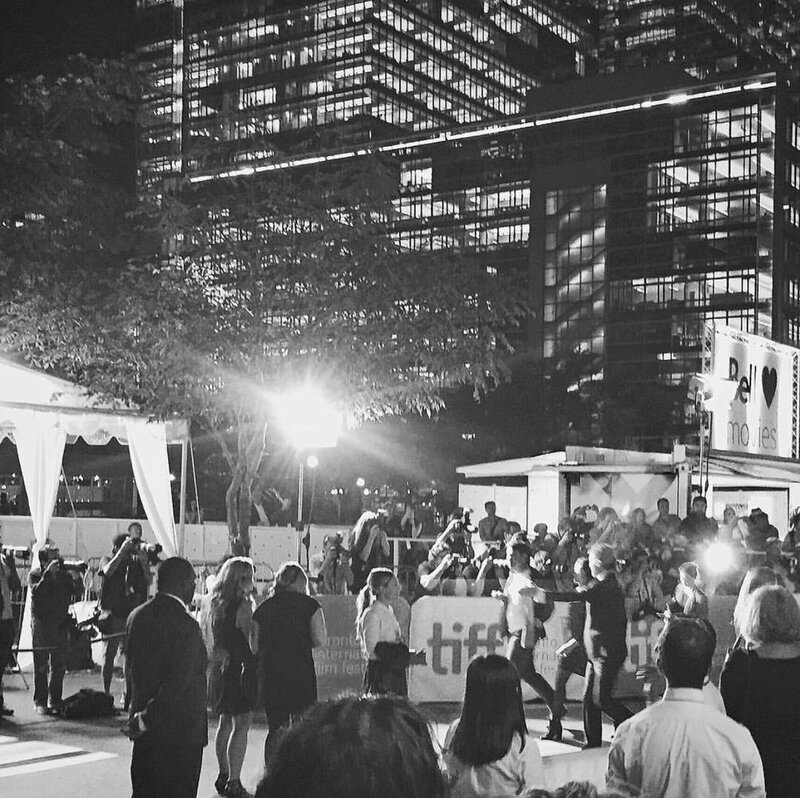 TIFF (Toronto International Film Festival) is one of the most exciting times of year in Toronto - and one of my favourite things to experience each year! I would get a bit down the past couple of years around this time knowing that I wasn't able to indulge in the fantastic and diverse films shown at the Festival. Load the TIFF website the morning of September 3rd before the portal for tickets opens at 10am so you're ready. Once the clock hits 10am, click to purchase tickets. You'll likely need to wait in a queue, but the sooner you do it, the higher up you'll be in line. Have your wish list of films prepared ahead of time. Once your slot in the queue opens, you'll only have a limited period of time to select and purchase your films. You don't want to waste time researching the 300+ films on offer during your slot! In addition to your wish list, make sure you have your back-ups selected as well. The Gala and Special Presentation films are hardest to get. However, note that you have a pretty good chance at seeing the biggest films when they are replayed later in the festival (and usually less expensive). Rush tickets are a great option to try and see any films that you don't get tickets for. To get these tickets, you need to go to the venue early ahead of time to line up. Essentially, all ticket holders will be let in first; TIFF staff will then determine how many free spots are in the theatre and will let that amount of people in during the 10 minutes prior to the film starting. Have cash in hand ready to purchase quickly as this is the only form of payment accepted. Tickets are $20 for regular screenings and $40 for premium screenings. If you haven't got tickets to any of the films (or even if you do), head down to the King West area between Roy Thomson Hall and the TIFF Bell Lightbox to take in all the excitement, buzz and activities, and maybe catch a glimpse of a few celebrities! "With just one polka dot, nothing can be achieved. In the universe, there is the sun, the moon, the earth, and hundreds of millions of stars. All of us live in the unfathomable mystery and infinitude of the universe." 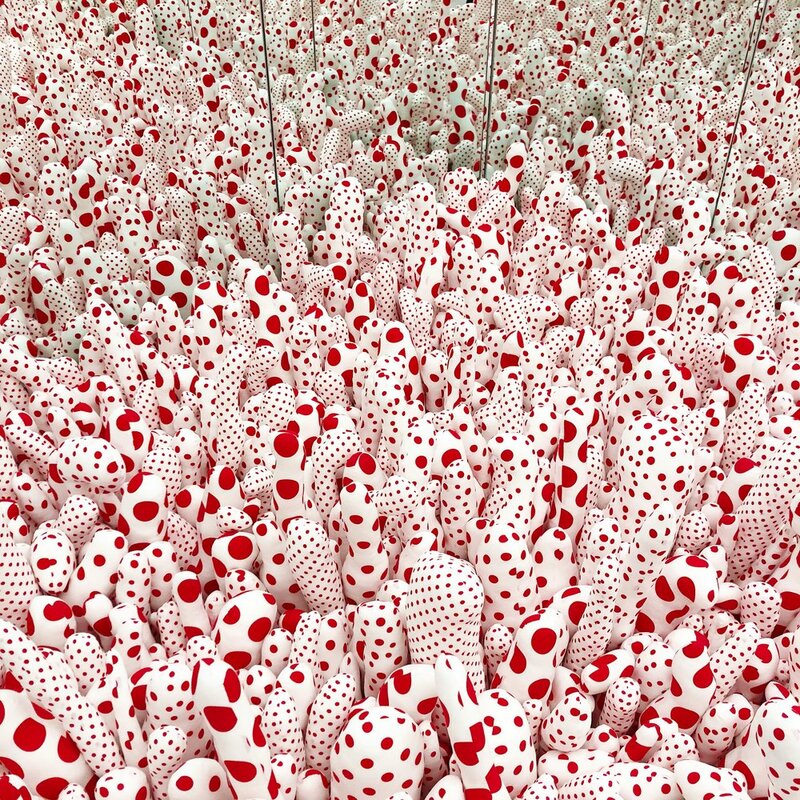 I can't remember when I first heard about Yayoi Kusama and her stunning Infinity Mirrors exhibit, but I do know that I've been wanting and trying to see it for years. It has seemed like wherever I have travelled, the show has either just finished or is starting after I leave! When I heard last year that the Art Gallery of Ontario (AGO) was going to be hosting this exhibition (the only Canadian city to do so), I've eagerly awaited its arrival. Last week, I had the opportunity to attend the media preview of this extraordinary show, which officially opened to members of the public this past weekend to overwhelming demand. 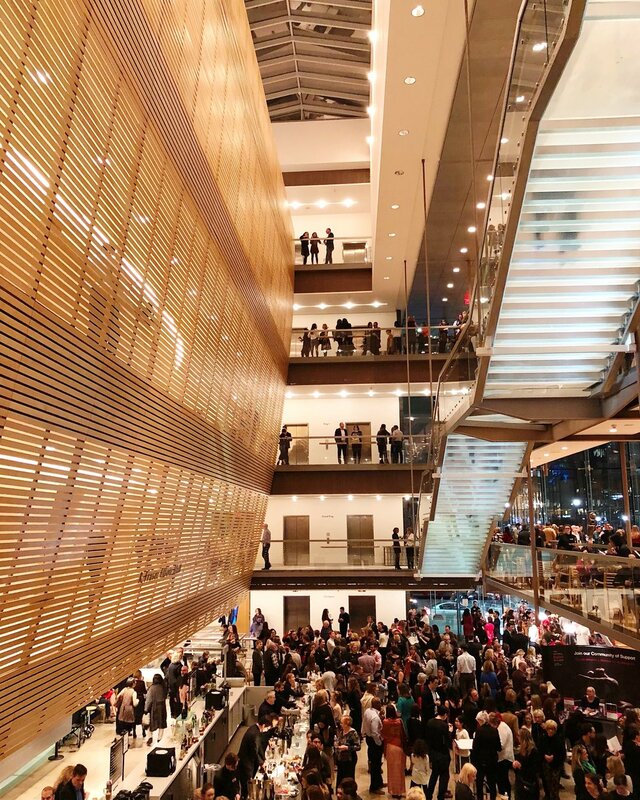 When the AGO opened the booking portal for tickets in January, thousands and thousands of people logged in, waiting for hours to snag a ticket to one of the hottest shows of the year. In three days, the AGO sold an astonishing 30,000 tickets, selling out well before the show opened! One of the most exciting things about this show is that it is drawing attention and a younger audience to the AGO, generating energy and excitement which will hopefully continue into the future attracting more shows like this one. For myself, this show inspired me to buy a membership to the AGO to explore everything the Gallery has to offer and engage in new ways. Infinity Mirrors and the dreamworlds they create in six immersive rooms have to be seen in person to get the full effect. Yes, they look beautiful in photos, but are even more dazzling to experience. These worlds were created by Yayoi Kusama, the brilliantly talented 88 year old artist who lives in Tokyo (voluntarily in a mental hospital since 1977), and still actively creates art today. In addition to experiencing six of Kusama's most iconic works, there are more than 90 paintings (including her early Infinity Net paintings), sculptures, photographs, rare archival materials, and works on paper from the 1950s to current day to see. 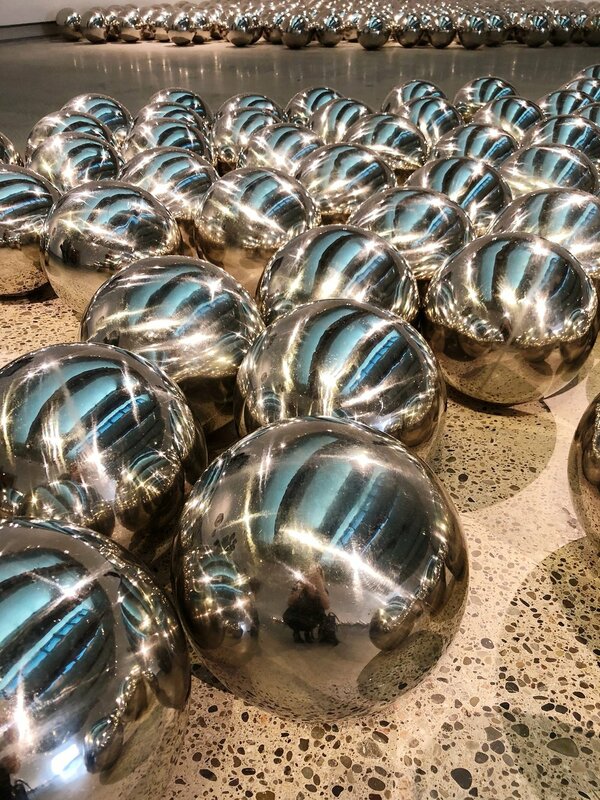 In addition to the ticketed exhibit, you can see her 'Narcissus Garden' installation on the second floor (on view from February 24 - April 29, 2018), a beautiful 'garden' made of mirrored balls, which is open to general admission. 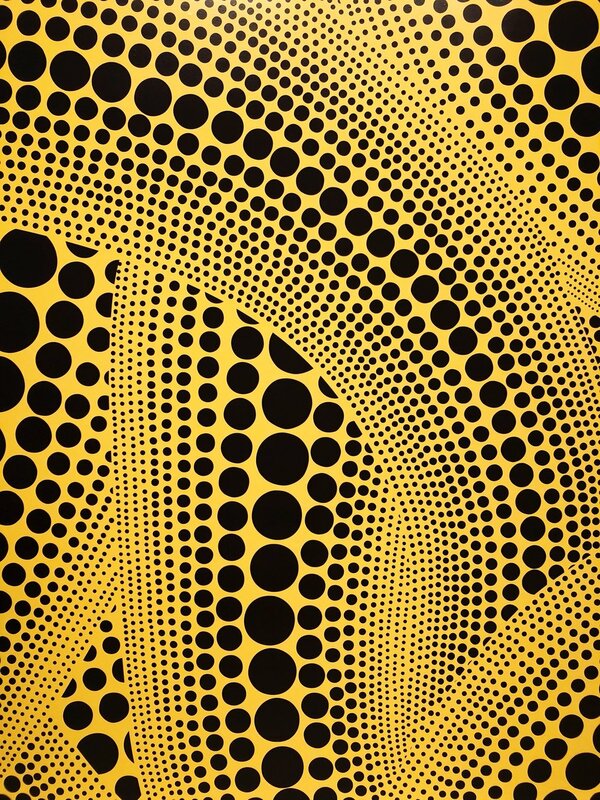 Kusama has been creating art and breaking new ground for over 60 years. During her time in New York (between 158 - 1973), Kusama moved in circles with fellow artists Andy Warhol and Allan Kaprow. 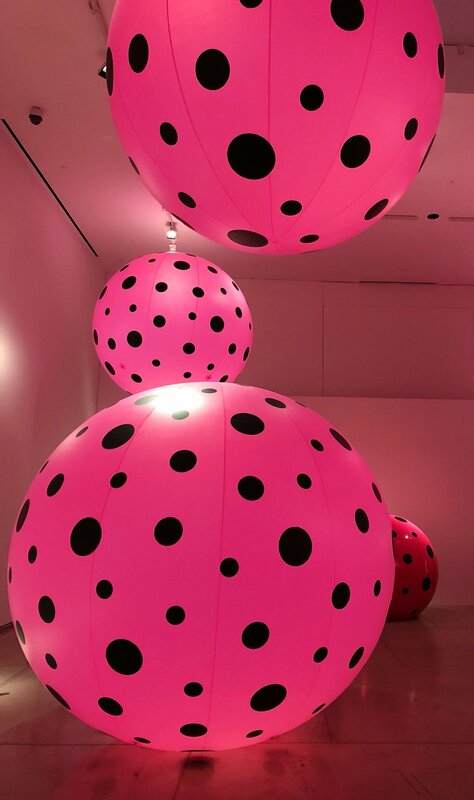 It was during this time that she began creating her signature polka dot and net designs, transforming them into paintings, soft sculptures, installations, and performance-based art. 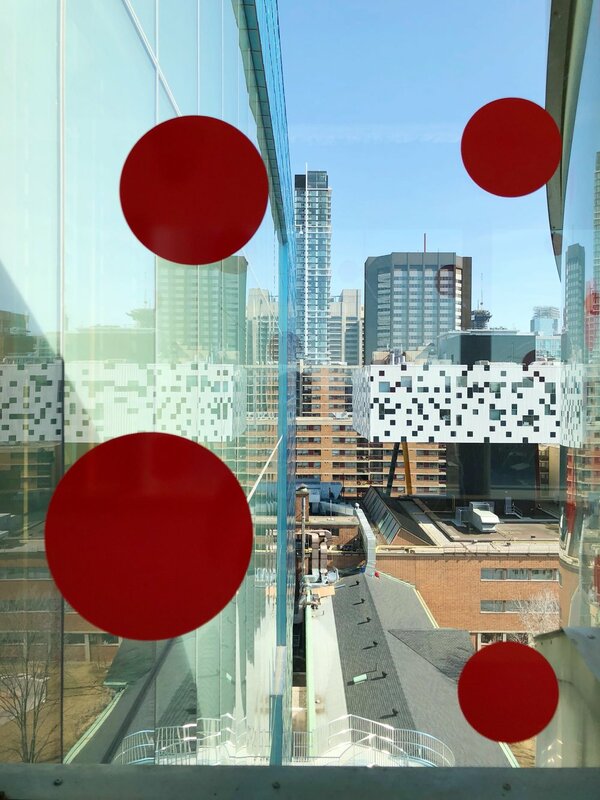 The first use of mirrors came with Infinity Mirror Room - Phalli's Field, 1965 (the red-and-white polka dot themed installation), which multiplied and magnified the repetitive effect she was hoping to achieve, transcending physical limitations and creating an immersive experience. 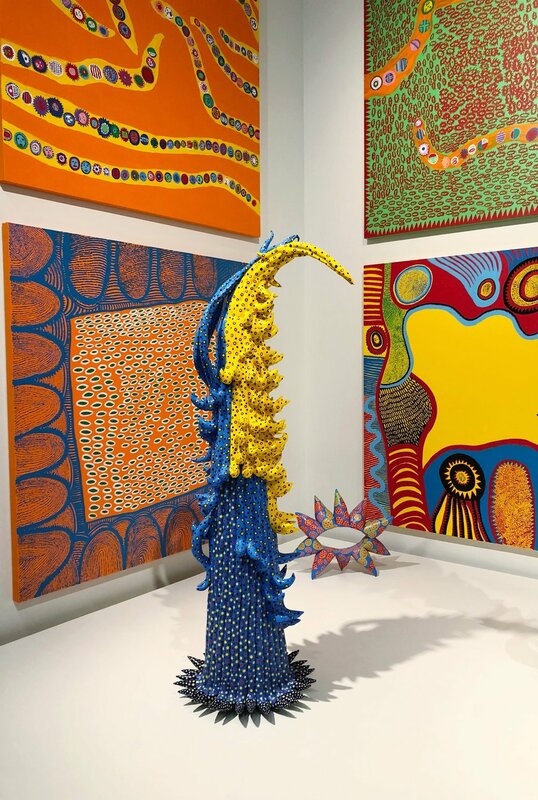 Kusama was the first woman to have a solo presentation at Venice's Biennale's Japanese Pavilion in 1993, and was named on of the world's most influential people by Time Magazine in 2016. 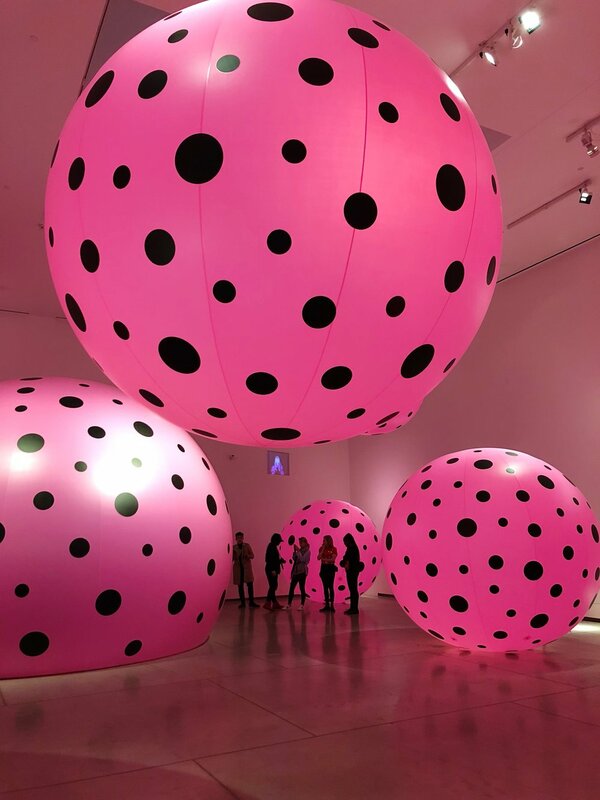 Above, the famous 'Kusama pumpkins' can be viewed in her work called All the Eternal Love I Have for the Pumpkins. You aren't allowed to take photos while inside the room, but you can when outside the door looking in. You will also be escorted inside with a member of staff. This is apparently due to pumpkins being damaged in previous exhibitions held elsewhere and the art is fragile. 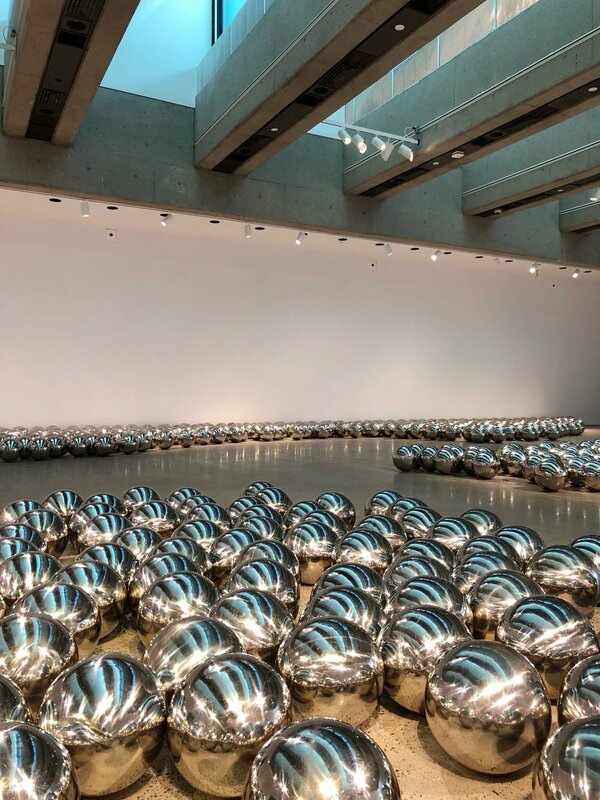 The pumpkins first appeared in some of Kusama’s drawings from the late 1940s and has regularly shown up in her paintings, sculptures, drawings and installations. 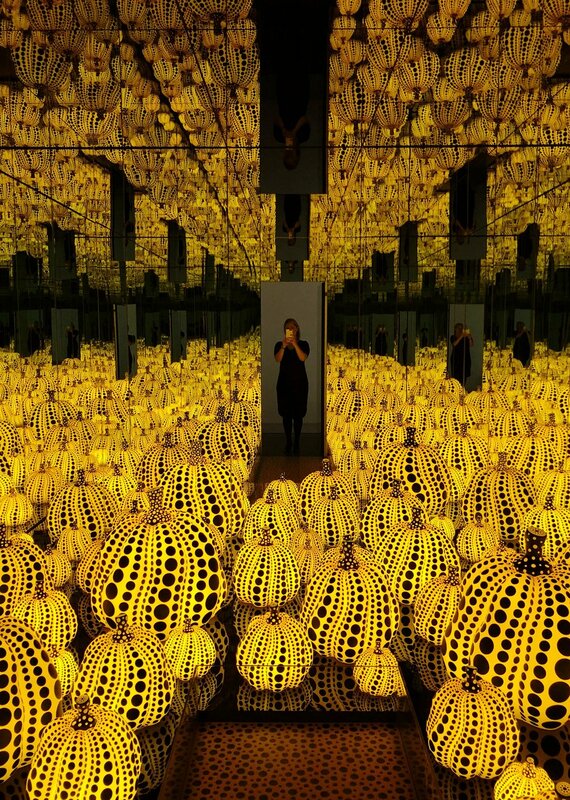 Her first pumpkin mirrored room was staged in 1991 and later at the 1993 Venice Biennale. The concept of this room is for viewers to be transported into a space which recalls fairytales and fantasy. Love Forever is a trippy feast for your eyes, allowing up to two viewers to look through small peepholes into this room. Looking inside, you can see yourself in a mirror directly opposite as well as the other viewer, making it feel quite voyeuristic. 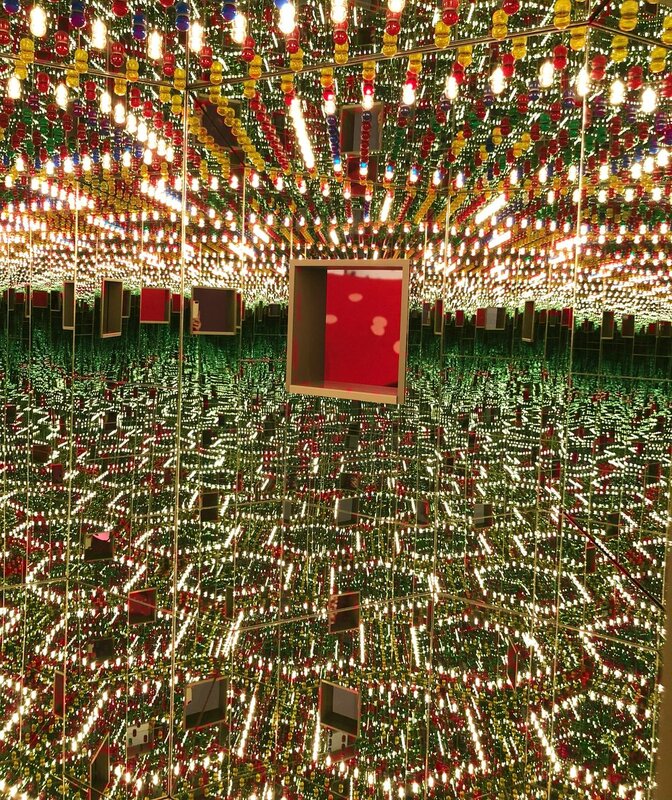 Kusama was experimenting with new technology when she created this room, which features dazzling lights, patterns and colours which change every few seconds. Her 1966 exhibition featured this work and she distributed buttons with her 'Love Forever' message printed on them. For her, this work stood for civil rights, sexual liberation, and the anti-war movement in the 1960s. 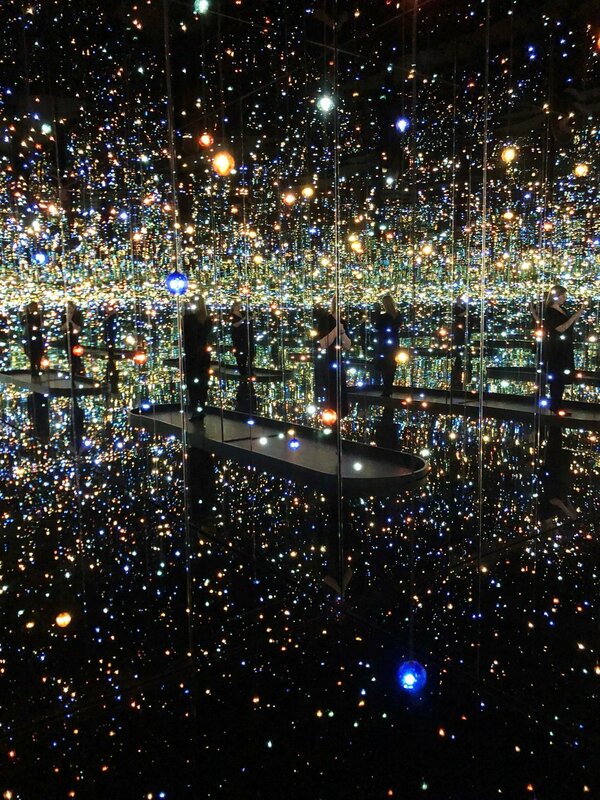 The Souls of Millions of Light Years Away takes you into a world of lights and mirrors resembling a galaxy. Hundreds of LED lights flicker and sparkle while you are inside activating the environment and becoming immersed into the infinite space. It is absolutely breathtaking to experience! I just wish that you could have longer than the allocated 30 seconds to experience it and really take it in. 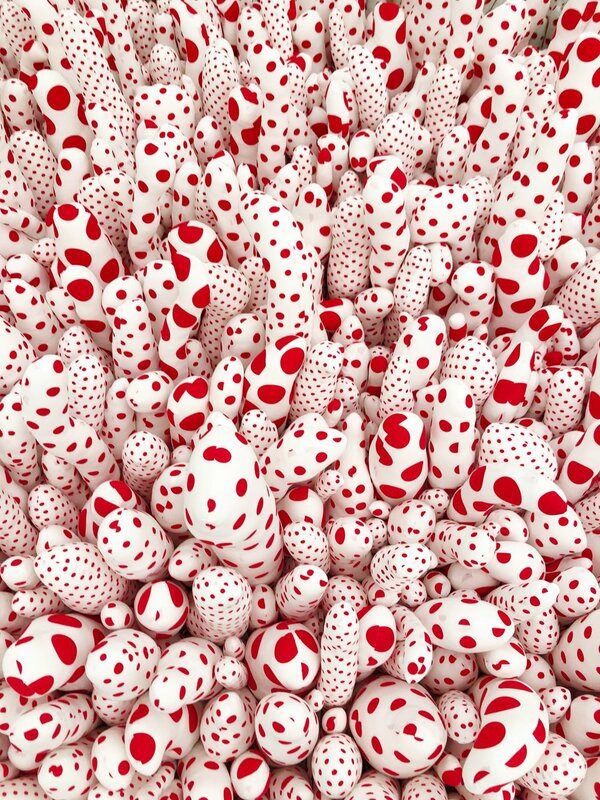 Phalli’s Field arose from Kusama wanting a new way to create a hallucinatory scene of phallic-like shapes covered in red polka dots. Up until the point this room was created, Kusama had spent much of her time between 1962 and 1964 sewing thousands of stuffed fabric tubes and affixing them to furniture and other objects to create her sculptures; however, this became physically and mentally tiring. Her breakthrough moment came when she began to use mirrors to achieve the repetitive effect she envisioned, transcending her physical limitations, and making it an immersive experience for viewers. Aftermath of Obliteration of Eternity is another mesmerizing world comprised of flickering gold lanterns that seem to go on forever into black infinite space. 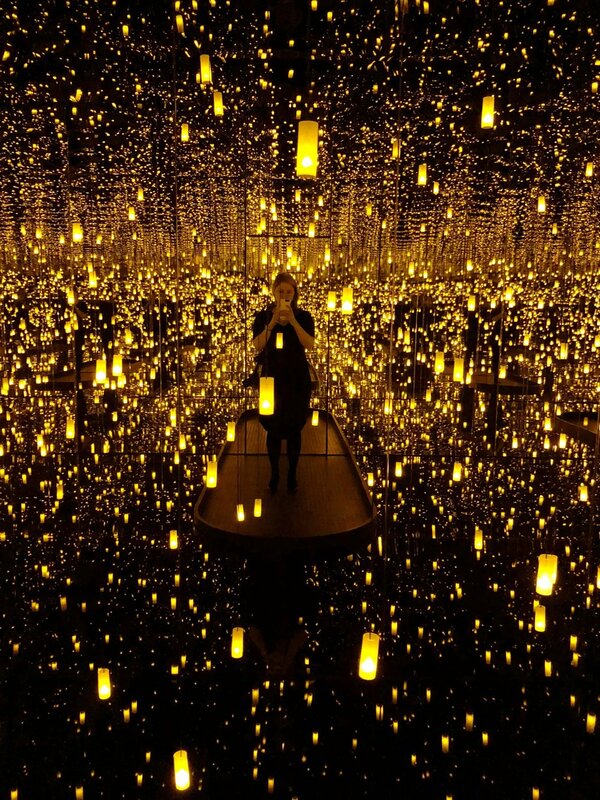 Kusama's room is a reflection on the experience of death and potential afterlife, recalling the Japanese tradition of toro nagashi, a ceremony which sees paper lanterns float down a river to guide ancestral spirits back to the resting places on the final night of the summer Obon Festival. 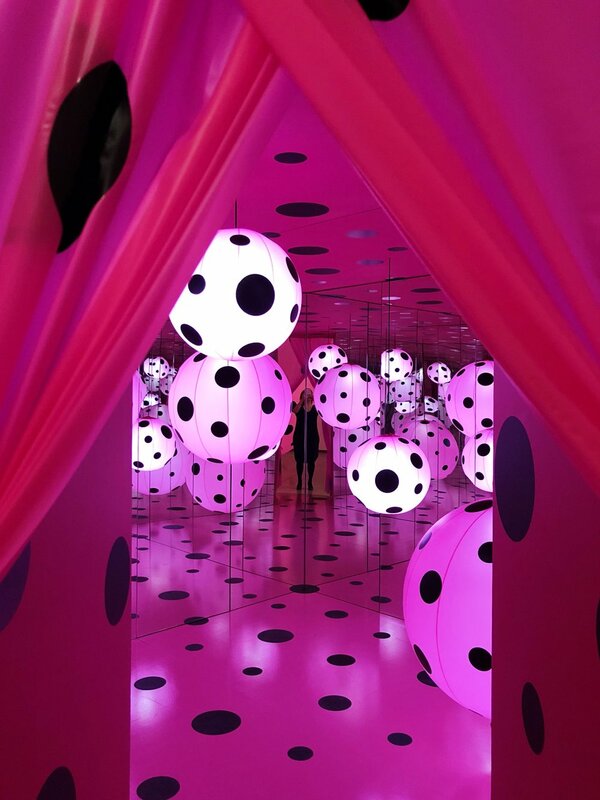 Dots Obsession – Love Transformed Into Dots has you enter a large gallery room which has a rosy glow from the large pink polka-dotted balloons hanging from the ceiling and placed around the floor. Near the back of the room, you can enter a room inside one of the balloons, feeling a bit like you are entering a fuschia fairy-tale world. 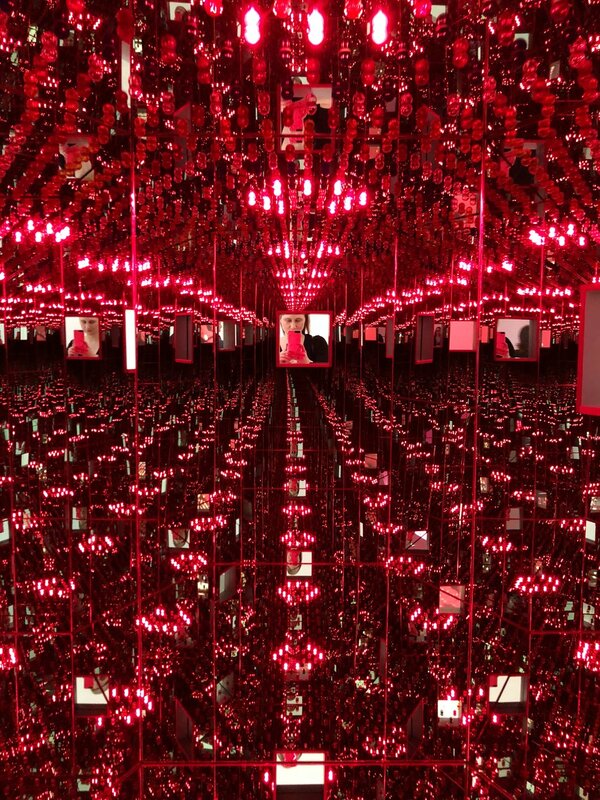 On the other end of the room, you get the opposite experience by peering into a small hole into a dazzling pink infinity mirror room. 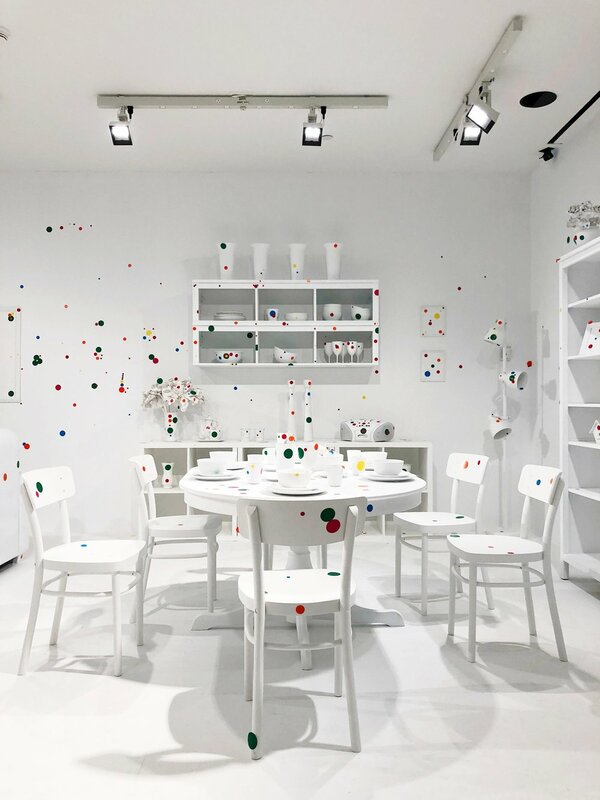 The Obliteration Room is the final room of the exhibit. This room invites you to participate in completing the work. 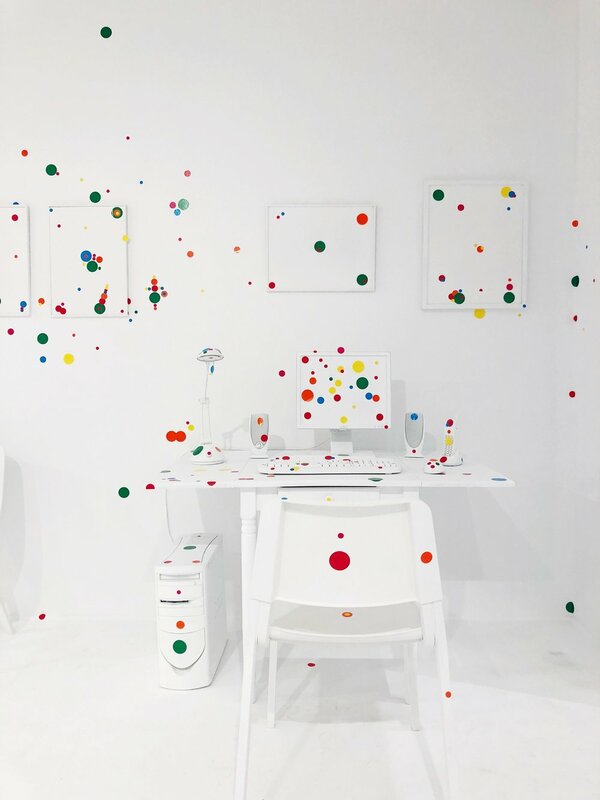 Upon entering the stark white room, set up to look like an everyday home with everyday objects, you are handed a sheet of coloured dot stickers and invited to place them anywhere in the room and on objects. I would love to see what this room looks like when the exhibition closes! 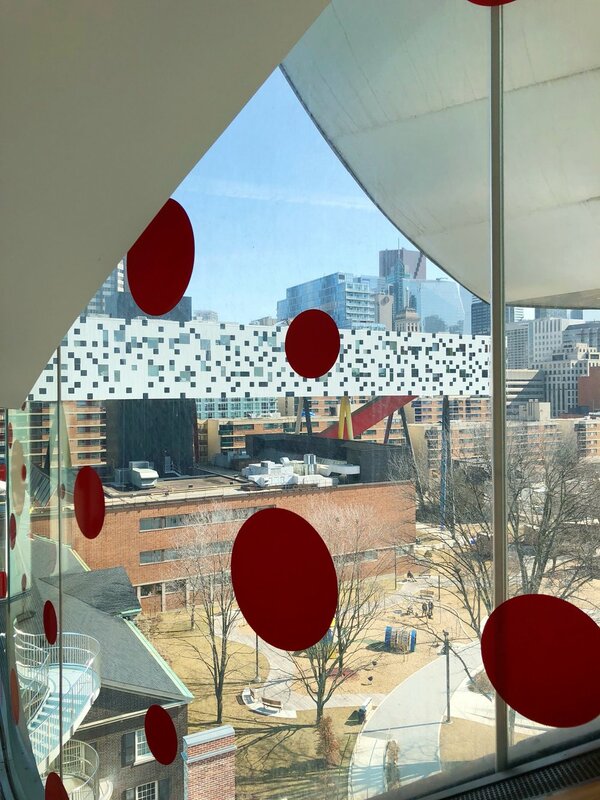 Kusama's concept of obliteration is to find and create new expression on this white space as the coloured dots invite each visitor to participate on a journey to infinity one dot at a time. For each of the mirrored rooms, you will join a line to enter. You may have the opportunity to go in by yourself or with two to four other people. You need to leave your bags just outside the exhibit (watched by AGO staff) and can enter for twenty to thirty seconds depending on the room. The staff have a stopwatch to time each entry and will give a soft knock on the door to let you know when five seconds are left. I wish that you could have more time inside the rooms as they are so dazzling and extraordinary that there just isn't enough time to properly take everything in. But, on the other hand, it forces you to be present and enjoy the moments you do have. 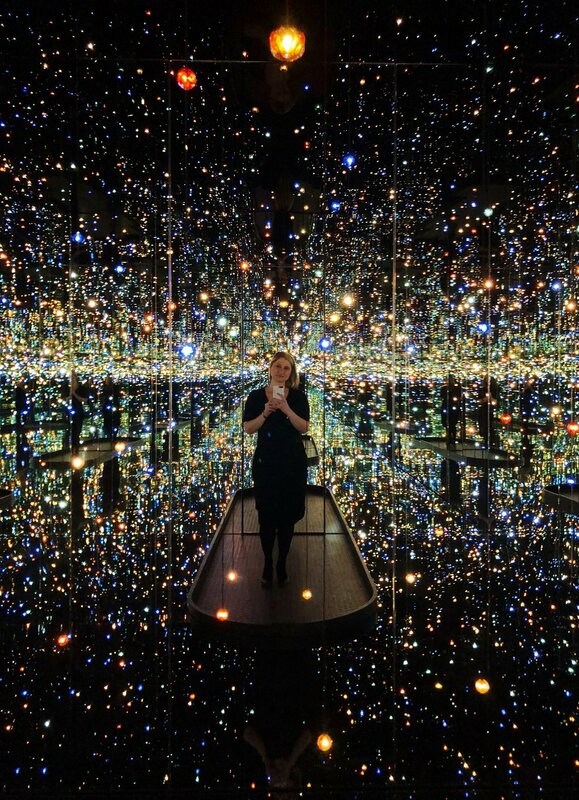 This extraordinary show is a visual delight, and you are encouraged to share your photos with the hashtag #infinitekusama. 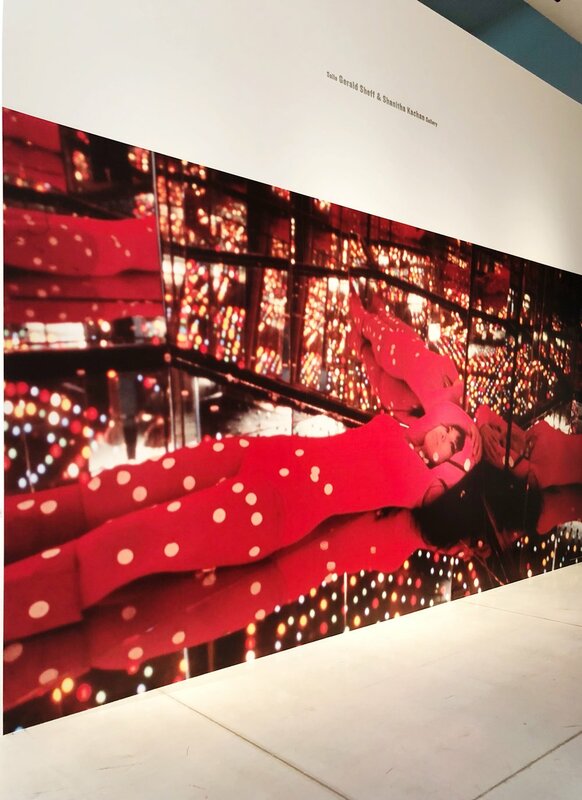 Part of the appeal and high demand to see Kusama's show has been driven through photos shared through Instagram. While you can bring your cameras and smartphones, you cannot bring in tripods or selfie sticks. There will be a new batch of tickets released by the AGO on Tuesday March 6th at 10am online only. There will also be a very limited number of same-day timed tickets available on-site at the gallery. The show runs from March 3 to May 27, 2018. 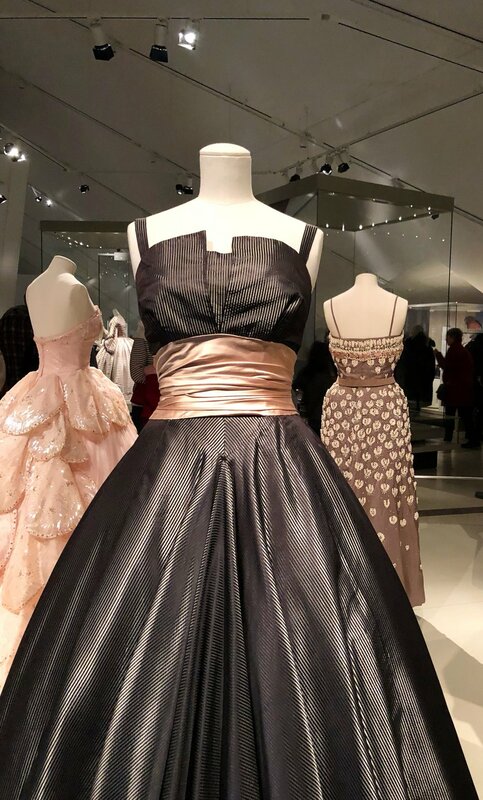 2018 started in style with a visit to the Royal Ontario Museum's (ROM) Christian Dior exhibit, presented by Holt Renfrew. 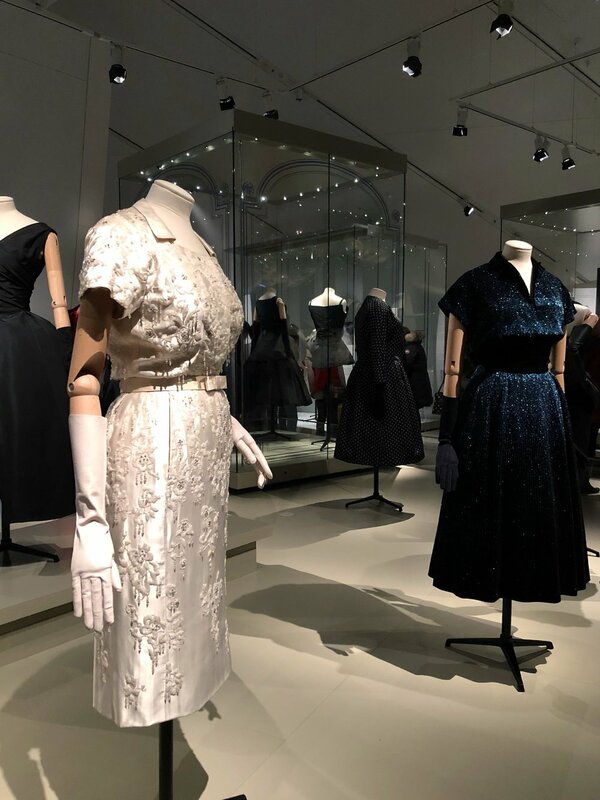 This beautiful exhibit focuses on the first ten years of Christian Dior haute couture from 1947 - 1957, which also revived Paris's haute couture industry following World War II. 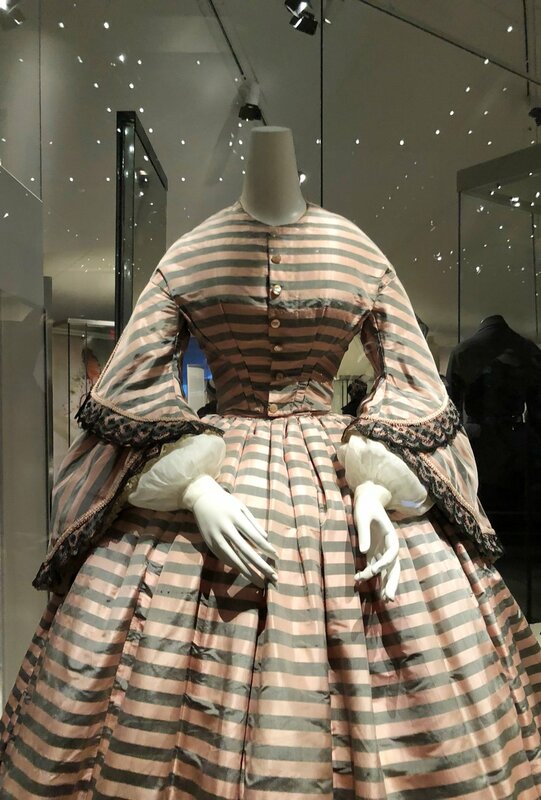 The ROM's Senior Curator, Dr Alexandra Palmer, has drawn upon the museum's extensive collection and offers insights into the creative process and mechanics of the fashion industry in Paris during this time period. 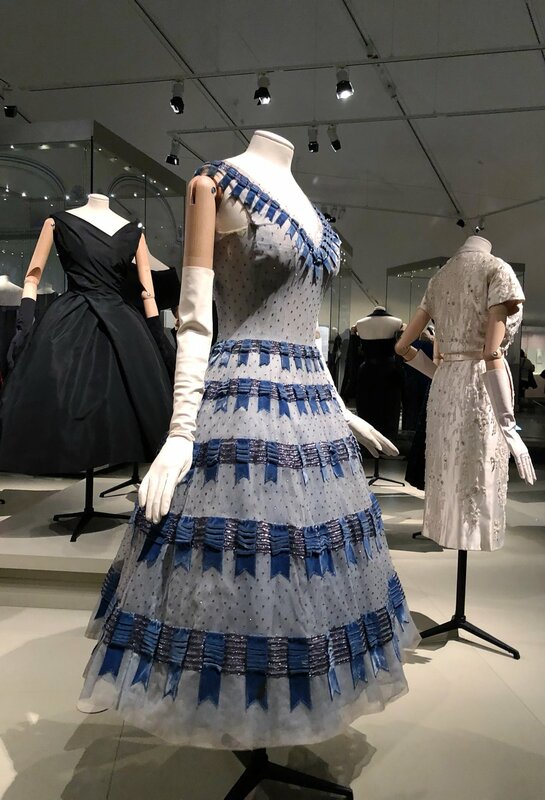 It is also the 70th anniversary of the House of Christian Dior, and it is amazing to see so many beautiful day and evening wear designs on display, as well as examples of textiles, patterns, and embroidery. 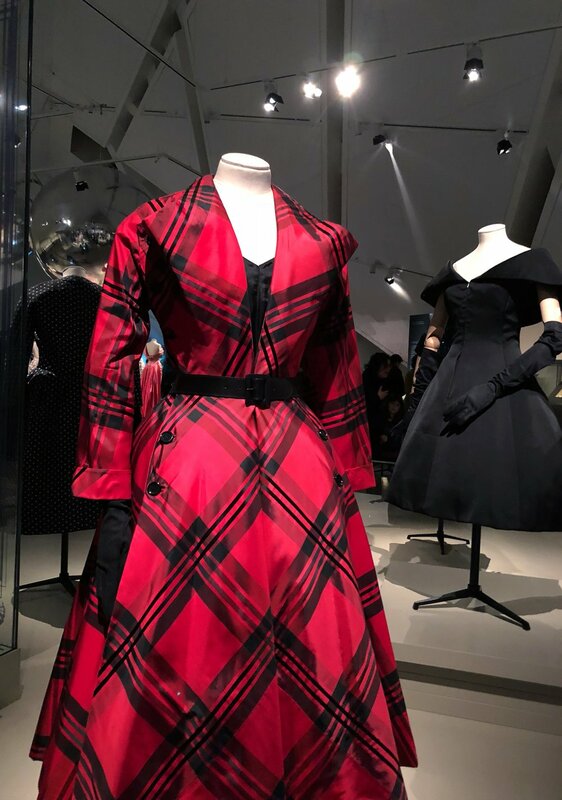 The exhibition looks at the construction of the designs created under Christian Dior, and considers why the cut and design of the clothing made the 'New Look' so successful. 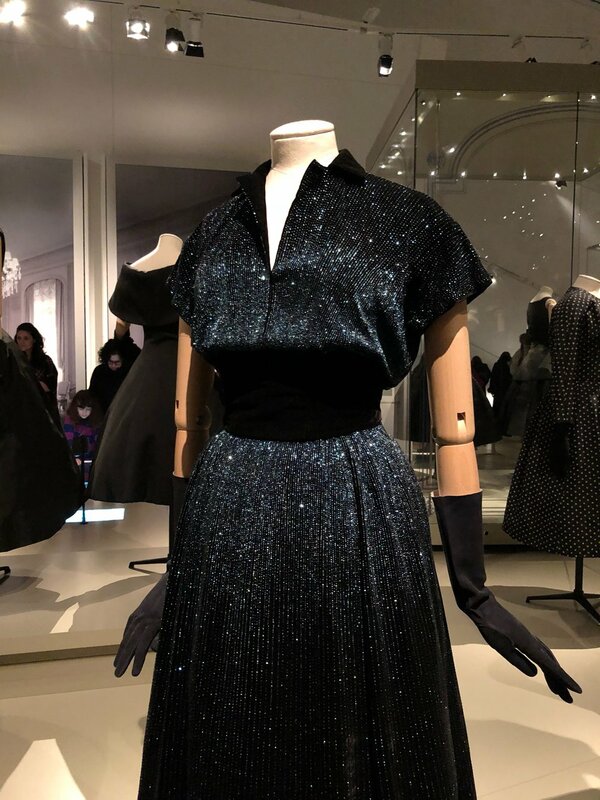 The 'New Look' was unveiled on February 12, 1947 when Dior presented his first collection. 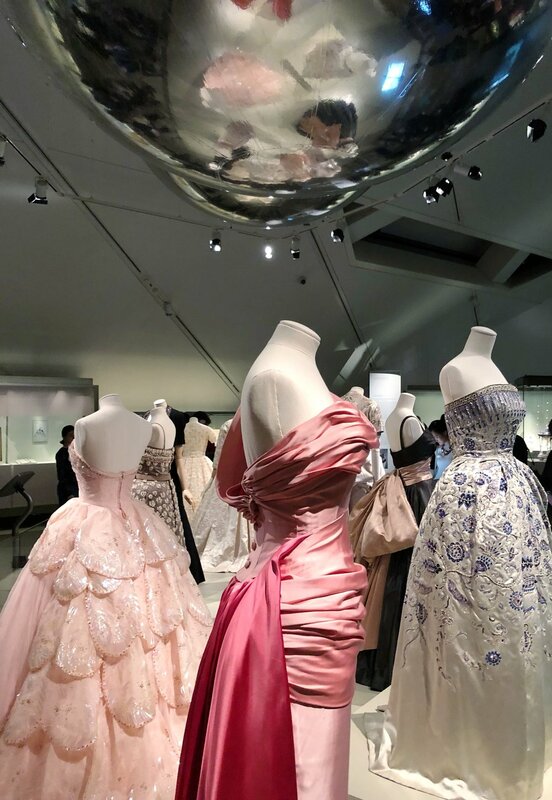 The exhibit features more than 100 objects, including 38 designs, ranging from daytime to late evening wear. 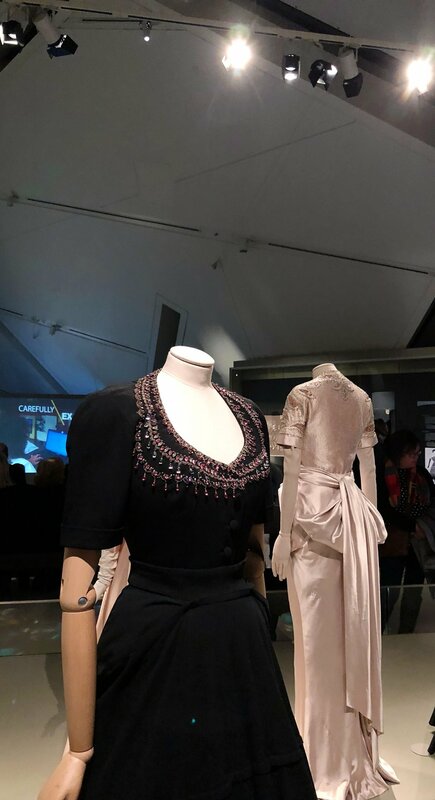 Enhancing the show are a series of images, accessories, and embroideries from Christian Dior Heritage, Christian Dior Parfums; Maison Hurel; Musee d'Art et d'Industrie de Saint-Etienne; Musee du Pays Rabastinois; the Bata Shoe Museum; and several private lenders. 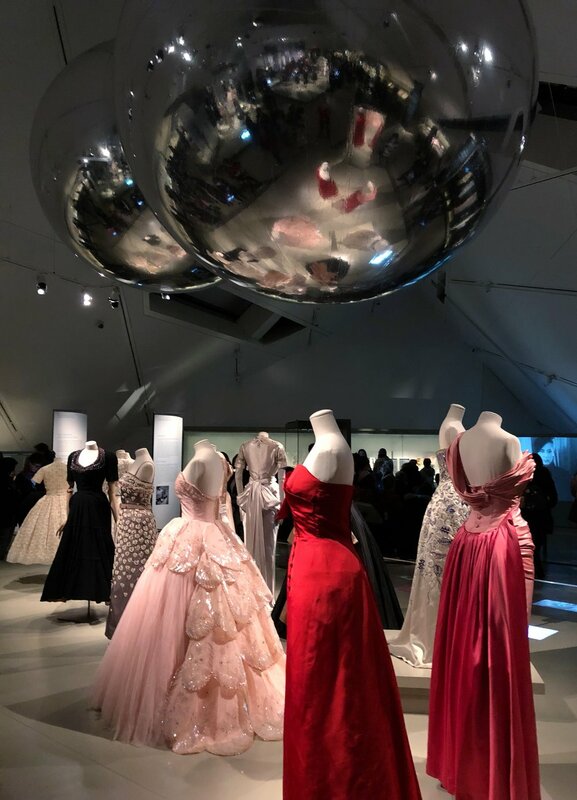 This collection has been built and researched over decades, and this is the first time the Dior collection (1947-1957) will be on display as a full exhibition, drawing upon the permanent collection of Textiles and Fashion. The ROM’s significant collection of textiles and fashions is the largest in Canada, and ranks among the top three collections in the world. With over 55,000 pieces, the collection is global and cross-cultural, ranging from BCE to present day, with spectacular examples from across the world. For the past 100 years, this encyclopaedic collection has been recognized as one of the world’s finest, a reputation strengthened by pioneering ROM research, exhibitions, and publications. This show is grouped thematically to explore. It is arranged by Day Wear (coats, suits, and day dresses), Late Afternoon to Evening (cocktails and dinner dresses), and Evening (ball and formal gowns). Many of the pieces on display were worn in Canada and donated by socialites from the period from cities such as Montreal and Toronto. It was fantastic to learn more about the stories behind the dresses and the women who wore them. 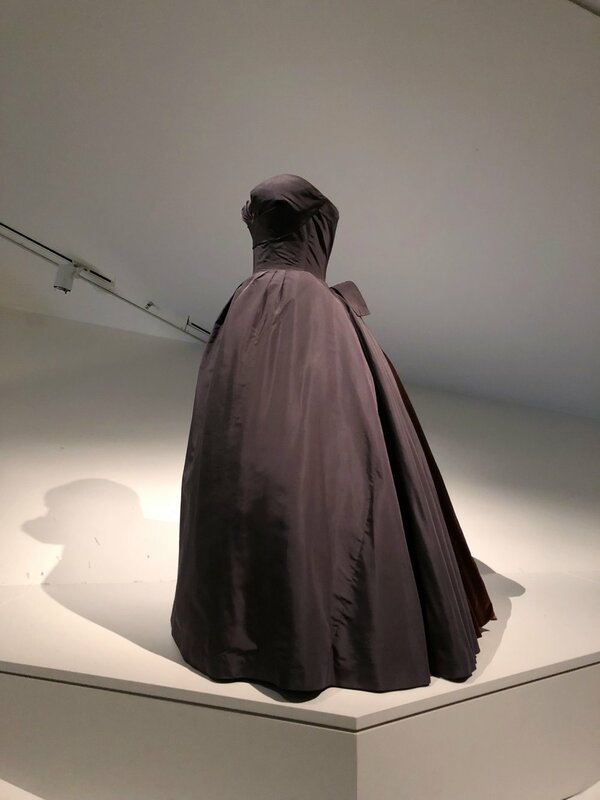 During the exhibition's run, the ROM will be hosting a series of lectures and events to explore different aspects of the groundbreaking work of Dior, including talks by the Director of Dior, Heritage Soizic Pfaff, and fashion historian, Florence Muller. Check out the ROM's website for the full programme and what's coming up. 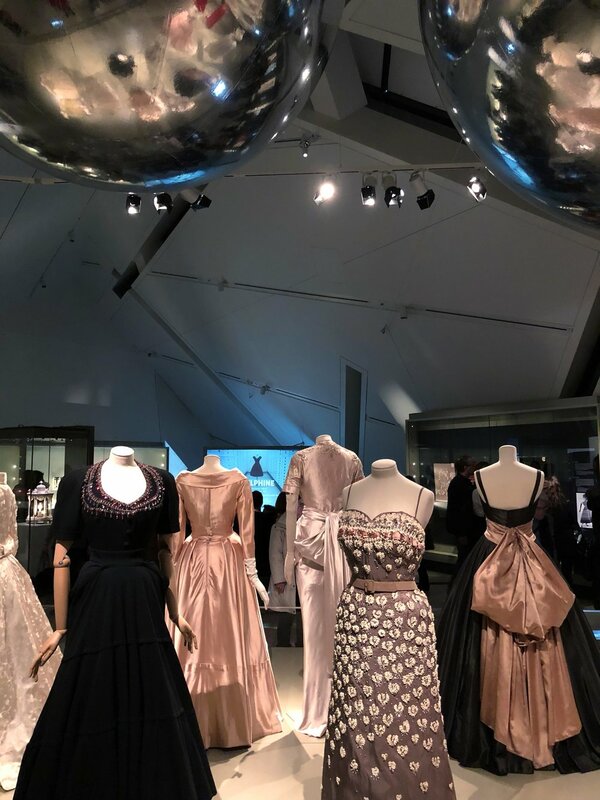 The ROM is also publishing a companion book written by the show's curator, Dr Alexandra Palmer, entitled Christian Dior: History & Modernity 1947 - 1957. It will be available at Holt Renfrew and major book retailers. 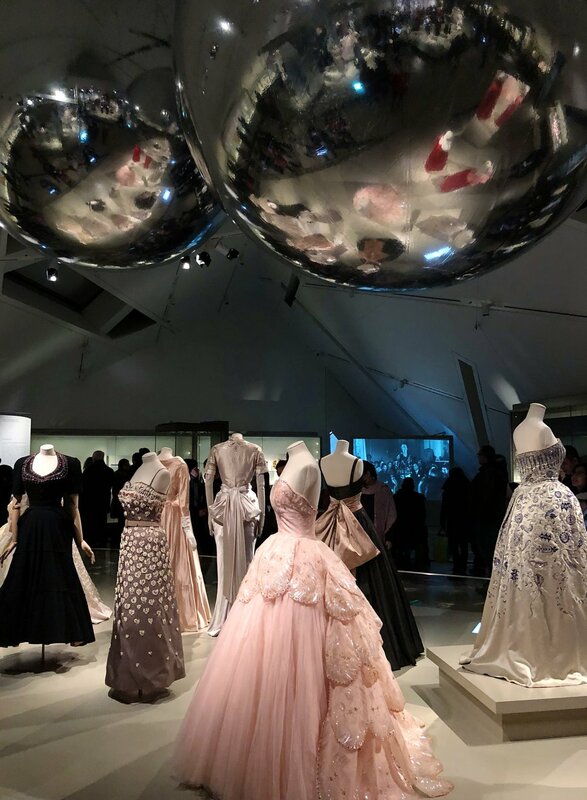 The Christian Dior exhibition runs until March 18, 2018. Tickets can be purchased online or in person at the ROM, and is free for members. One of my favourite things to do every year during the Christmas season is see a production of The Nutcracker. It never fails to fully put me into the Christmas spirit! I took my mom to see the National Ballet of Canada's production of The Nutcracker on Wednesday evening at the stunning Four Seasons Centre for the Performing Arts in downtown Toronto. The permanent home to the Canadian Opera Company and National Ballet of Canada opened in 2006. This theatre is one of my favourite places in the world to see productions. The striking large window facade allows the glitz and glamour happening inside the soaring multi-level lobby to be seen from outdoors. Inside, the ceiling soars high with a striking glass staircase snaking its way across the different levels of the theatre. Designed by Diamond Schmitt Architects, it was built specifically for opera and ballet performances with top acoustic sound quality. The NBC's version of The Nutcracker was created in 1995 by the Ballet's former Artistic Director, James Kudelka. This production places an emphasis on imagination and seeing it through a child's eyes. 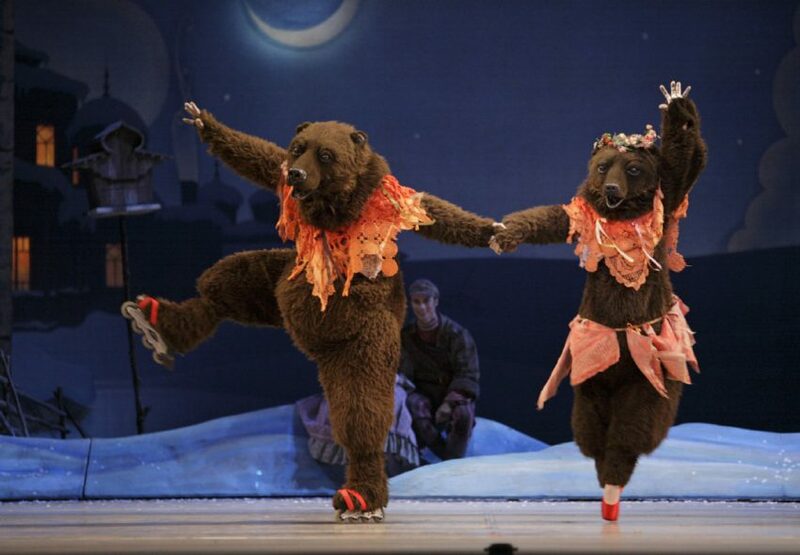 It is fun, colourful, humorous at times (such as the daily local guest celebrity Cannon Dolls or the bears on skates and pointe shoes), and mesmerizing visually throughout through the skill of the dancers, stunning sets, and beautiful costumes. The orchestra is magnificent, filling the theatre with the familiar score and bringing the show to life even more. This year's show seemed to go back to the Russian roots of the story more than in recent years, which I really enjoyed. There are some standout moments throughout the show. One of my favourites is the Snow Scene, where you are transported into a sparkling winter wonderland. The set is spectacular, and the glittering costumes sparkle across the stage. The Snow Queen was majestically performed by Principal Dancer, Elena Lobsanova, during the performance I saw, with her two male 'Icicles', who glide across the stage in a beautifully choreographed sequence. Whereas other productions in other cities around the world have performed this scene as a pas de deux between the Snow Queen and Snow King, I enjoyed this version with the Snow Queen commanding both the stage and her Icicles. I found that the corps de ballet performing as the Snow Maidens was a bit chaotic and not as precise in their formations and timings as they could be; however, the overall impact across the stage with the costumes, music, and outstanding performance by Elena was wonderful. I was also very excited because the night I attended saw Principal Dancer, Heather Ogden, play the role of the Sugarplum Fairy. Watching her dance was a dream as she seemingly floats across the stage with grace, poise, strength, and so much control. Watching her emerge from the large Faberge egg reminded me of the ballerina from a children's musical jewelry box - just magical! The role of the Nutcracker for the evening was played by Principal Dancer, Guillaume Cote, who also happens to be Heather's real-life husband, so watching the pas de deux between the pair on stage made it even more stunning. The Waltz of the Flowers is a confectionary delight with colourful pastel costumes floating and twirling around the stage. The one worry I had watching throughout the entire show was the regular 'snow' falling across the stage; beautiful for the audience, hazardous for the dancers. Indeed, one dancer during the Waltz of the Flowers took a tumble but recovered quickly and carried on like a professional. The Nutcracker is sold out for this season; however, there are a few single tickets available for some performances, as well as a limited number of standing room tickets available for $12 at 11am on the day of the show in person at the Four Seasons Centre Box Office. It runs from December 9 - 30th, 2017. If you aren't able to see it this year, add to your list for next Christmas! I'd been hearing some great things about the newly opened Planta restaurant in Toronto, as well as seeing its chic decor on some of my favourite Toronto Instagram accounts, so I was looking forward to checking it out. It was particularly timely with it being near the start of the new year and in the depths of winter as Planta is a plant-based restaurant (hence the name) and I was craving some wholesome goodness after indulging over Christmas. Planta was opened by the Chase Hospitality Group with Chef David Lee to create innovative menu choices that are plant-based, environmentally sustainable, ethically sourced, and in a chic dining environment. No animal products are used in the restaurant. I'm sometimes a bit hesitant of purely health or vegetarian-focused restaurants as they sometimes aren't as tasty to provide a rival to some of my other favourite restaurants. But, right from looking at the menu, it was difficult to choose due to everything sounding so delicious. I started with the watermelon poke (with smashed avocado, nori chips, and citrus soya), as recommended by our server. it was so fresh, flavourful, and unusual, and served in a beautiful way that looked like a work of art, laid out carefully on top of a bowl of crushed ice. I ordered the truffle and cauliflower mac and cheese, which was just decadent. It came with butternut squash mixed in as well, which was a lovely addition to break up the flavour. My friend ordered The Frenchie Pizza, which was a delicious concoction of mushrooms, squash, cashew mozzarella, arugula, truffle oil, and parmesan. To finish it off, we each had an invigorating (spicy!) hot ginger tea that set us up well to brave the freezing cold Toronto weather afterwards! This place is definitely a must-visit on your next visit to Toronto. Enjoy! When I visited Toronto recently, I stayed at the glamorous Ritz Carlton Toronto, the city's only 5 Diamond Hotel! In addition to an unbeatable location, the hotel is filled with modern luxuries and decadent comforts. 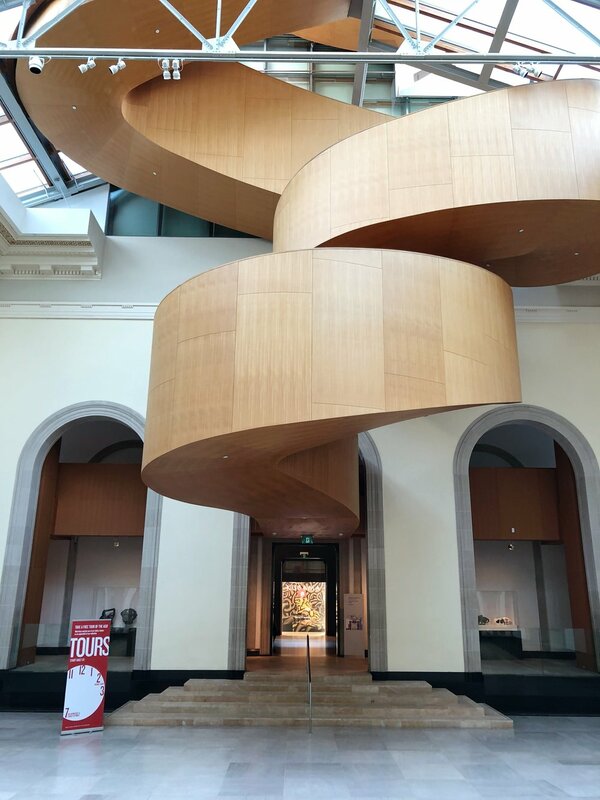 Visiting the city or thinking of treating yourself to a staycation?Sharing more about this fab hotel and a few of my Toronto favourites over at Signature Luxury Travel available here.